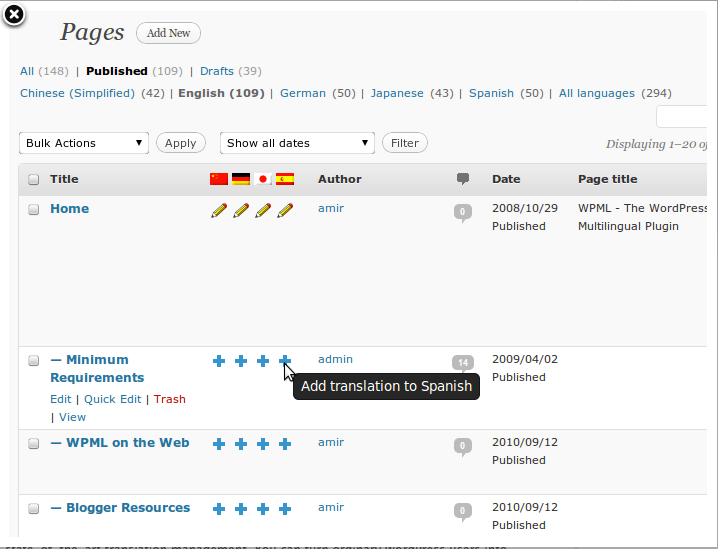 WPML (www.wpml.org) is a comprehensive translation solution for the Word Press publishing platform. 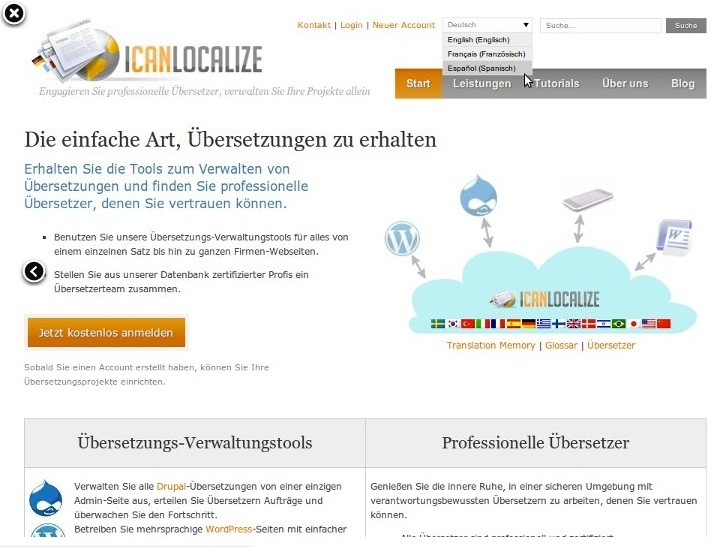 This tool, developed by ICanLocalize, goes considerably beyond the basic translation features found in most blog translation extensions. WPML is a feature complete translation management system designed from the ground up to work with the Word Press publishing platform. The tool will work for self-hosted Word Press sites (it is not accessible if your blog or site is hosted on wordpress.com). The tool enables the site owner to select from a variety of translation methods, including machine, crowd and professional translation, and offers a great deal of control over the translation and QA process. 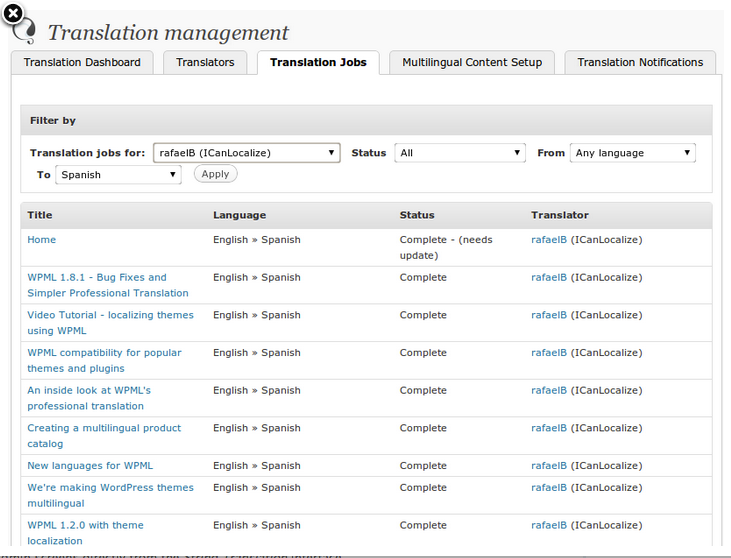 This makes it comparable to higher end translation tools found in corporate content management systems. WPML provides a simple and intuitive editing tool that makes it easy to see which texts need work, and to create translations for new content. WPML also provides a side by side translation editing tool, so translators can easily compare the translations against original texts without leaving the current pages. 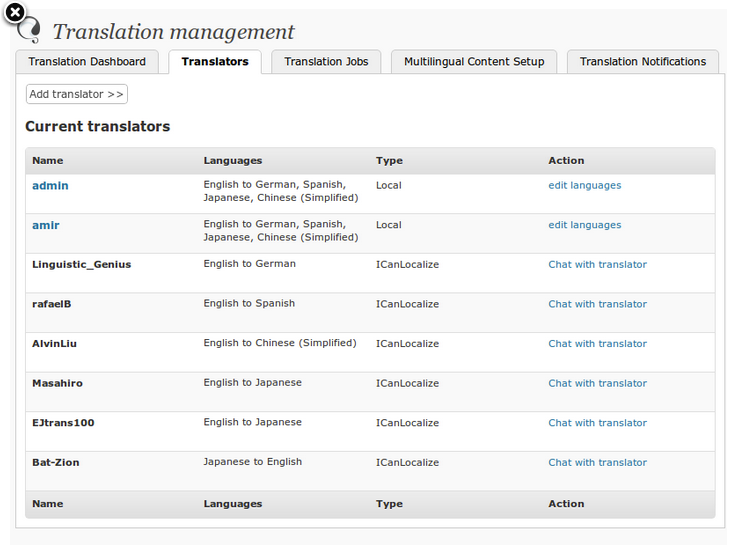 The translation queue viewer enables you and your translators to see all texts awaiting translation, and to work through the texts in first in, first out order. The extension provides with detailed controls over who is allowed to create and edit translation, so you can also use it to manage your crowd of volunteer or paid translators. WPML differs from other Word Press translation extensions by providing more control over the translation workflow, QA procedures, and other items typically found in high end translation and localization management platforms like SDL. Meanwhile, it is easy to install and manage, and is well integrated into the Word Press publishing environment, so managing a multilingual Word Press site is not much more involved than managing an ordinary single language website. Word Press power users who need multilingual support will be well served by this extension. If your website is not self-hosted (e.g. lives at wordpress.com) or you are not comfortable with system admin tasks, this may not be a good fit for you. 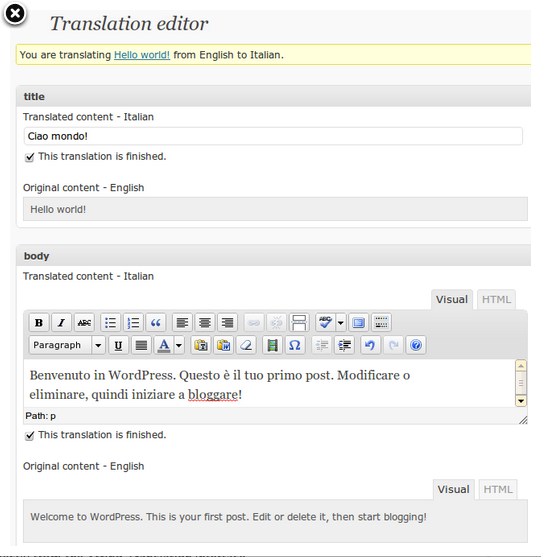 If your site is hosted at wordpress.com, you should look into translation delivery networks, such as Smartling and Dakwak, at least until wordpress.com provides built in support for multilingual publishing. This entry was posted in crowd translation, machine translation, news translation, website translation and tagged cms, content, management, multilingual, system, wordpress, wpml. Bookmark the permalink.